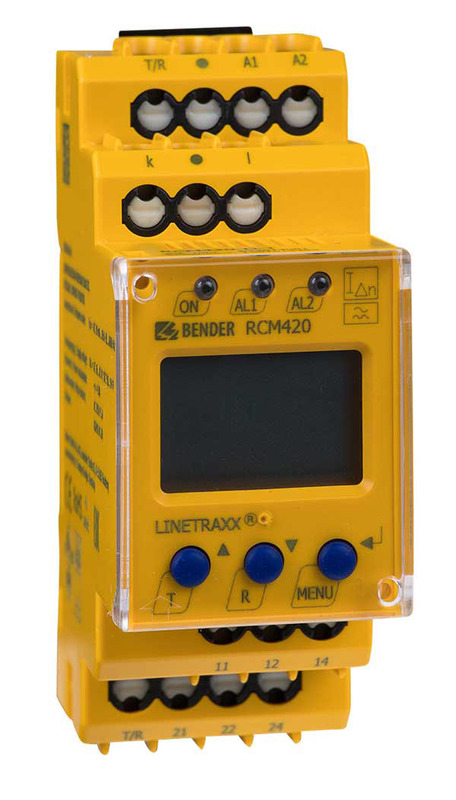 The AC and pulsed DC sensitive residual current monitor RCM420-D (Type A) from Bender is designed for fault and residual current monitoring in earthed power supply systems (TN and TT systems) where an alarm is to be activated in the event of a fault, but disconnection must be prevented. In addition, the device can be used to monitor single conductors, such as PE conductors, N-PE connections and PE-PAS connections. The prewarning stage (50…100 % of the set response value IΔn2) allow to distinguish between prewarning and alarm. Since the values are measured with measuring current transformers, the device is nearly independent of the load current and the nominal voltage of the system.